From Plaza Damas Shopping Mall main entrace, go up to the escalator to second floor, walk straight out to another exit. 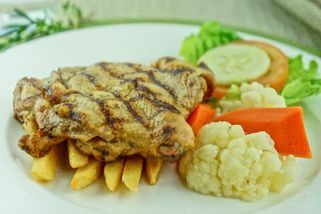 Cross the road to Bestari restaurant, walk straight and turn right. Continue walking till the end, the café is right at the end. 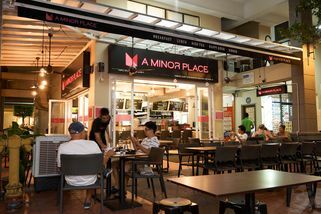 With "majoring in the minor" as their motto, A Minor Place proves to be an apt name for this minor establishment serving simple, hearty Western and local meals in the major shopping and dining district of Plaza Damas, Sri Hartamas. 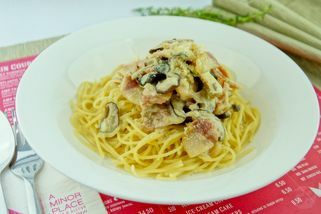 The menu consists of the usual suspects like soup, salad, pasta and a wide selection of main courses. 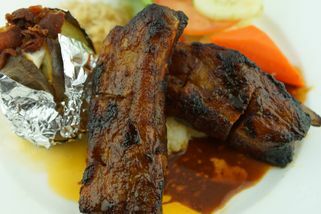 Signature dishes include their AMP Pork Ribs, Lamb Shank and AMP Porky-Riffic Burger. A Minor Place is also one of the rare places offering pork rendang with their AMP Nasi Lemak. 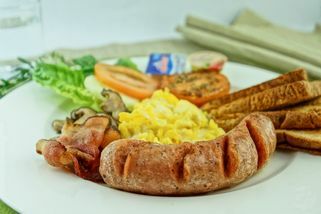 Every morning a breakfast menu is available, offering Western and local choices like Nasi Lemak, AMP French Toast and the AMP Big Breakfast. 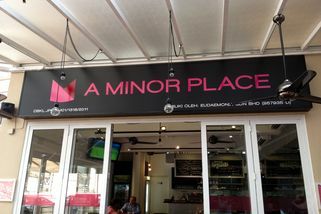 If you’re not looking for a meal, A Minor Place also offers a wide range of beverages including some unique house blends. 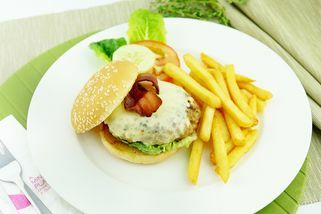 I ate the burger here, tastes not bad, portion is good.